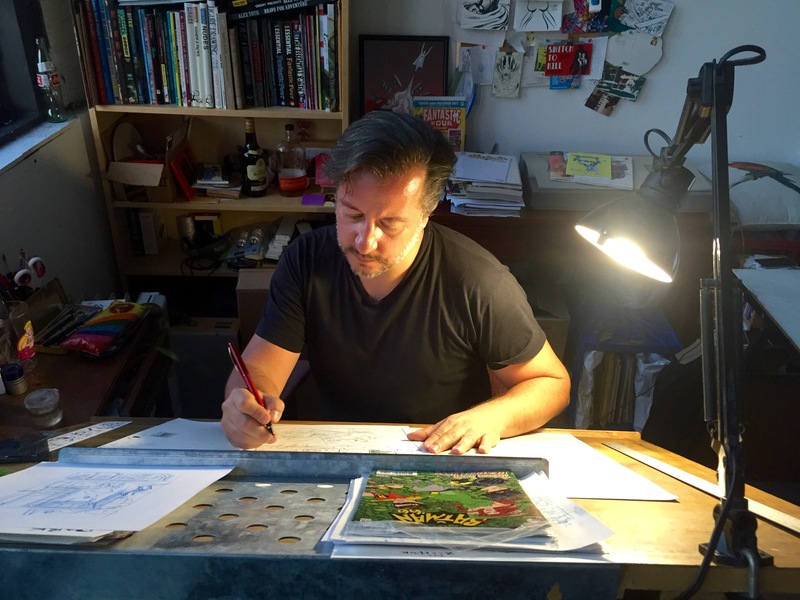 Dean Haspiel spoke to Brian Heater about comix, insecurity, community, current influences, dreams of minimalism, and his new graphic novel BEEF WITH TOMATO for Brian’s cool RiYL podcast, episode 125. This entry was posted in Uncategorized and tagged Beef With Tomato, Brian Heater, Dean Haspiel, Gary Panter, rIyl PODCAST, Rob Liefeld. Bookmark the permalink.